“Don’t talk to me!” I snapped at my boyfriend/future husband, as I slammed the bathroom door (read: the only door in our Greenwich Village studio apartment) and then proceeded to sit in the bathtub with a washcloth over my eyes for the next two hours. It was 2005. I had been self-employed for just over a year and had just returned from giving a presentation to 300 people at Con Edison of New York. And I didn’t understand, at the time, that I was highly sensitive. Now, all these years later all I can do is forgive that younger version of Heather and be grateful that I now know how to manage my highly sensitive self so my traits are working for me and my business (and that my boyfriend from that time did become my husband – can you believe it?!). See, I’ve learned that there are two kinds of Highly Sensitive Entrepreneurs (HSEs): “The Hiders” and “The Pushers”. I’m a recovering Pusher. I could and would push my way through just about anything. It took every ounce of life out of me, often made me sick and not necessarily pleasant to be around (obviously), but I would get done what needed to be done at any cost (which, obviously, there was). Oh, and boy was I angry. Angry that the world demanded so much from me. Angry that I couldn’t give it without hurting myself or others. Angry that I couldn’t say no. Angry that I wasn’t made like the rest of the world (why isn’t everyone else exhausted like I am?). And scared. Oh, so very scared. That I would be found out and the rickety world I had painstakingly built would come crashing down around me. When I first discovered that I was highly sensitive. I thought all other HSEs were like me, but through my work with hundreds of my Business Miracles Community Members. I came to understand “The Hiders”. Take every coaching course and program that you can because you “don’t know enough yet”. Come up with great ideas about how others can improve their programs and spend a lot of energy judging, giving recommendations for improvement and then deciding that this “isn’t working for me” when in truth you haven’t really been implementing the work (again, all because you’re so terrified of what will happen when you do). And you are also angry. So, which one are you? A Pusher or a Hider? 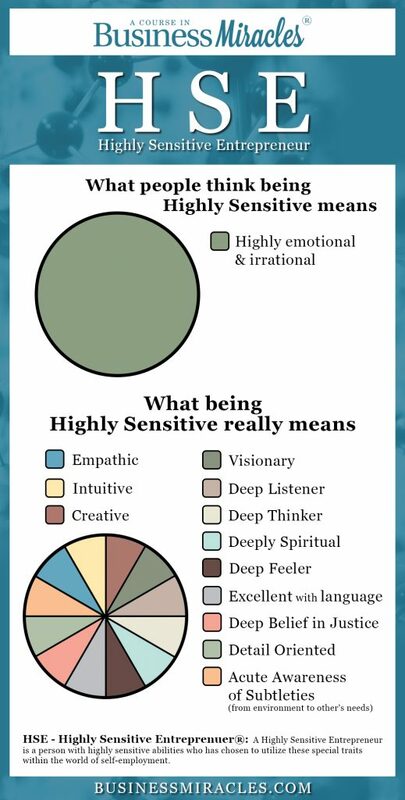 It’s time to embrace your high sensitivities, learn how they are business assets when you use them as strengths, and how when you do this, miracle after miracle takes place. This is how I live now and how my business thrives now. If you’re ready for this, too, then I would like to invite you to join me for a very special ALL NEW A Course In Business Miracles®: 21-Day Discovery Series (completely my gift to you) where we will come together to develop a different way, the way of Business Miracles. No more “pushing” and no more “hiding”. It takes 21 days to change a habit. Let’s get started. 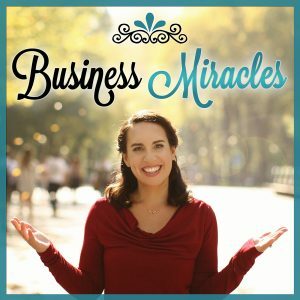 You can register for your FREE Business Miracles 21-Day Discovery seat here! Here’s to discovering the truly valuable you! See you on the Discovery Series!